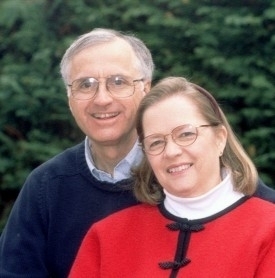 Robby and Joyce are grateful that the Philemon Project continues to grow and expand. The beautifully renovated space for the preschool has 8 full time volunteers who share God’s love with over 70 preschoolers. The church plant has become an established church drawing people from all walks of life and countries. Pray these ministries will continue to bring glory to God and fruit into His kingdom. 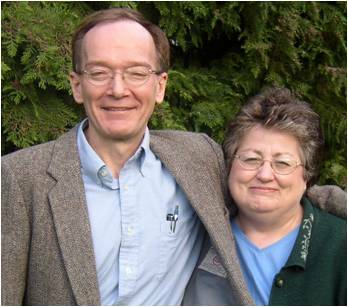 For George and Anne Harper, the new school year at Asia Graduate School of Theology in the Philippines begins in June. Pray for more qualified students to apply to the program and find the necessary funding. Pray for Anne’s new book on the Iglesia ni Cristo to be published in time for the Iglesia’s centennial celebration. Pray for Larry Brown, teaching at African Bible College in Malawi, and single parent to 11 year old Carey. Carey has really excelled in swimming where he took home 8 gold and 2 silver metals at the national championship. His athletic ability helps give credibility to ABC’s academy, as they are usually the only Christian school participating. Pray Carey will be as diligent in his academics and character development, as he is in swimming. Daryl and Marlene Bussert are thankful for a successful aviation audit in Indonesia. They ask prayer as they navigate computer changes at JAARS, and pray God will transfer their aviation knowledge to computer know how and make this another accomplishment. Brian and Cary are grateful at how the Lord worked in the Mom’s conference. Pray for their family and Brian’s mom as his father passed away April 19th. Pray for their Family Life conference coming up May 30-31 focused on healing and restoring marriages. 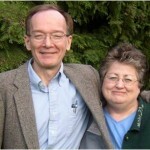 Greg and Sally spend much of their time interceding and connecting with people in Syria, Lebanon, Libya, and Malaysia. They are grateful for Ben and Ellie who have joined them in recruiting, coaching, and bolstering new workers for Libya, Pakistan, Baghdad and Syria. Pray for resources to renovate the hospitality house for the Pakistani church plant. The Youngs ask prayer that their driver who wants to be baptized, will really understand what it means and want to follow Jesus. They are grateful that a connection with a Rotary club in their country has materialized and ask prayer for all the financial details to be worked out with the MEDIC program. Jeff and Lynne ask prayer for their media efforts. That the scripture website and mobile app will be ready for distribution and effective outreach tools for hearing the word of God and gospel of Jesus. Pray for Jeff and Lynne, their children and team, to continue to be winsome in their dealing with neighbors who do not know the Lord. Bob and Janie Till ask prayer for the 17 new GEM candidates to have wisdom in making decisions about their long-term service. Pray for planning and details for the upcoming summer teams across Europe. Bob will be going to Frankfurt to follow up on contacts from previous visits, pray for great conversations with immigrants who are far from home and God. Now that Dan and Stefanie have visited their new mission city, pray it will give impetus and joy in their preparation to move. Pray for the sale of their house in N.C. and the conferences and training, while maintaining a family of four small girls. Pray the Lord will stretch their time, guard their health, give wisdom in decisions, and provide all the necessities for their move.